PESHAWAR: The National Accountability Bureau has approved corruption inquiries against officials of various government departments. According to a statement issued here the other day, the decision was taken at the regional board meeting of the bureau chaired by Farmanullah Khan, NAB Director General, Khyber Pakhtunkhwa. The board authorised an inquiry against officials of culture department for misappropriating funds in ‘Saqafat Ke Zinda Ameen’ project. The meeting approved an inquiry against Pir Yousaf Shah, executive engineer of irrigation department of formerly Fata for accumulating assets worth millions of rupees. The board authorised another inquiry against Mohammad Tariq, account officer, Khyber Agency tribal district, for accumulating assets beyond his means of income. 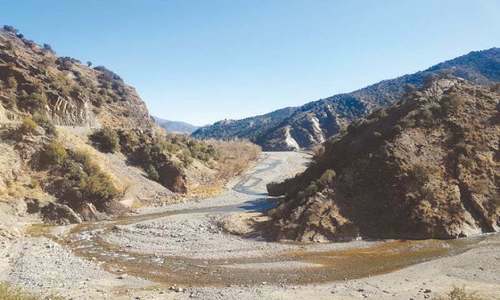 An inquiry was also approved against officials of forest and transport departments for misusing their authority and awarding 16 kanals of forest and transport departments’ lands. An inquiry was authorised against officials of communication and works department, Mardan, for awarding contract for construction of model anti-terrorism courts in gross violation of rules. The NAB’s regional board upgraded inquiry into investigation against officials of Fata secretariat for embezzling millions of rupees allocated for construction of flood protection wall in Miramshah area of North Waziristan tribal district.